On my opinion this is one of the greatest prog lps. Greatly recommended. In late 1975, King Crimson came to a close, but not before Eddie Jobson added some embellishment to the posthumously released live album U.S.A. The rhythm section - the formidable duo of Bruford and Wetton - took some journeyman work in the interim (Genesis, National Health and Uriah Heep), before forming what would become U.K. Rick Wakeman, was around for the first go, but for whatever reason, opted out and eventually returned to Yes. Then, in 1977, the duo each picked a replacement: Wetton brought Jobson, while Bruford towed in guitarist Allan Holdsworth from Gong. Their debut album was eagerly anticipated, given the high pedigree of the members. The three-part "In the Dead Of Night" leads off, penned like most of the other tracks on the album by Jobson and Wetton. Wetton certainly knows a decent hook, while his voice is clear and distinctive. Bruford's drumming is crisp and the sonic tone of Jobson’s keyboards provides a wonderful document of the era. Holdsworth adds a trademark (read extremely fluid and fast) solo, while the second section gives Jobson a turn at the violin. 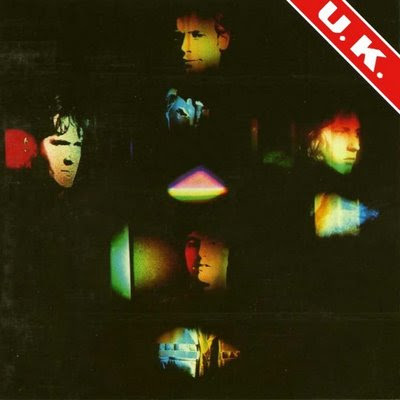 "Time To Kill" highlights the mostly understated Bruford/Wetton rhythm section, but Holdsworth's single note accompaniment is equally enthralling. "Nevermore" and "Mental Medication" give Holdsworth a hand in the writing (and acoustic guitar), the former featuring some dueling lead work between he and Jobson. Overall the songs are concise and the album is punctuated by a heavy and uncluttered palette and, of course, lots of virtuoso soloing. But it's also replete with sterile production: sounds great, but that's it. The quartet did take to the road in the States, and judging by their set lists, had a larger repertoire ready to record. But soon enough, Bruford and Holdsworth were off to the former's own band, leaving Wetton and Jobson to continue U.K. Despite the hype, the album failed to make any significant dent in the charts.